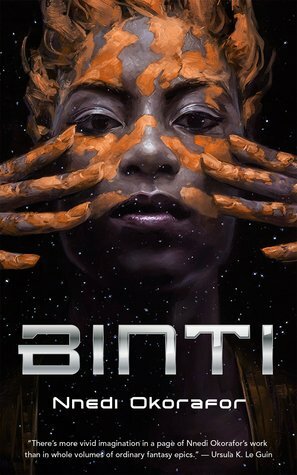 About a year ago I noticed the book Binti. I can’t recall exactly where I started seeing it, though it was probably on Twitter or several book blogs, but I was admittedly intrigued. I made a note to get the book and read it. But I then got absorbed into my already enormous TBR and swept Binti to the bottom of the pile. Then recently I started seeing more people talking about this book, and it’s sequel, and I was once again reminded of my desire to read this book. 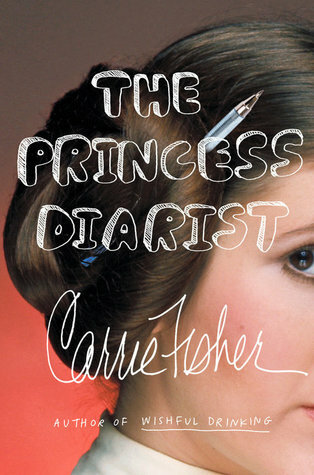 Fast forward to October, when I received a copy of this book from a friend and I finally got around to reading it. I honestly wasn’t sure what to expect from this book. Despite all the times I had seen this book online, I had never paid attention to what it was about, nor any details in various reviews – minus the fact that everyone seemed to love it. So, I decided to not read the blurb and dive right in. Really my only complaint is that it was too short. I get it, it’s a novella and therefore it’s supposed to be short. And yes, I do agree that the story was wrapped up nicely so there wasn’t too many questions, but enough left open to lead into the sequel. But I still wish it was longer. I wanted to know more, see more of the worlds, learn more about some of the species that appeared near the end of the novella. I’m sure that will happen over the course of the series. Overall, I’m very happy that I finally got around to reading this book and I will definitely be continuing on with the series to see where the story leads. I would highly recommend this book to anyone who hasn’t read it yet. This entry was posted in Books, Science Fiction and tagged Book Review, Books, Science Fiction. Bookmark the permalink. Oh, this novella is so, so, so goooood!!!! And you are right, it is very short. The 2nd book in the series takes place about a year later, and there is a 3rd book coming soon. Short fiction really is an artform, how an author jams in so much worldbuilding and plot and characterization and tech, and everything else, and tells a complete story. and leaves the reader wanting more. I agree, it takes a very skilled writer to put an entire story and world building into such a small format. Nnedi is one hell of an author and I can’t wait to read one of her full length books. I will be rereading Binti soon enough. Will read all three books in the trilogy back to back once the third one is released.